In a word, Bruges is charming. Winding canals, stone bridges, and medieval architecture make for something out of a fairy tale. 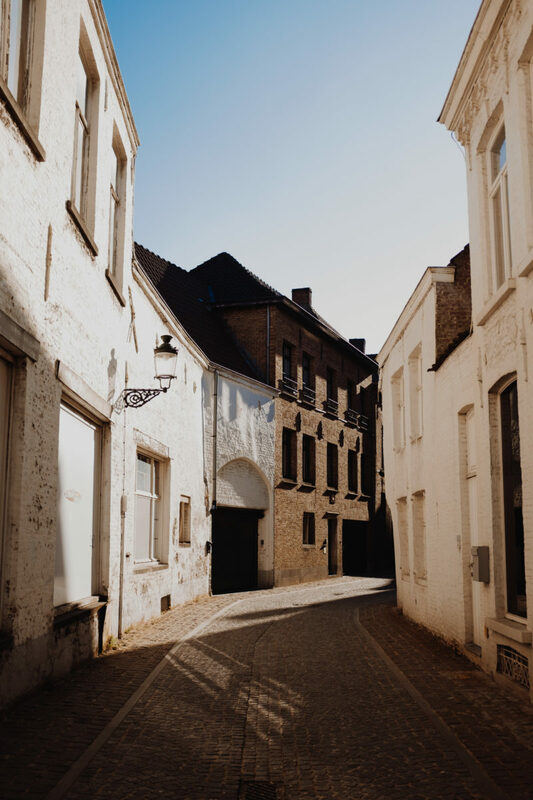 The enchanting Flemish city offers countless opportunities to press the shutter button on your camera. 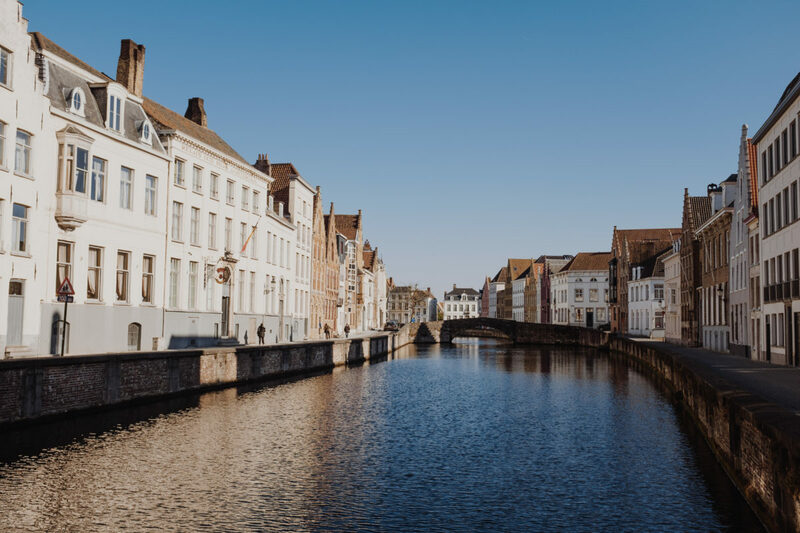 Nestled just an hour northwest of Brussels, you can’t miss Bruges if you’re transversing Western Europe by train—make a day trip of it or stay for a few. 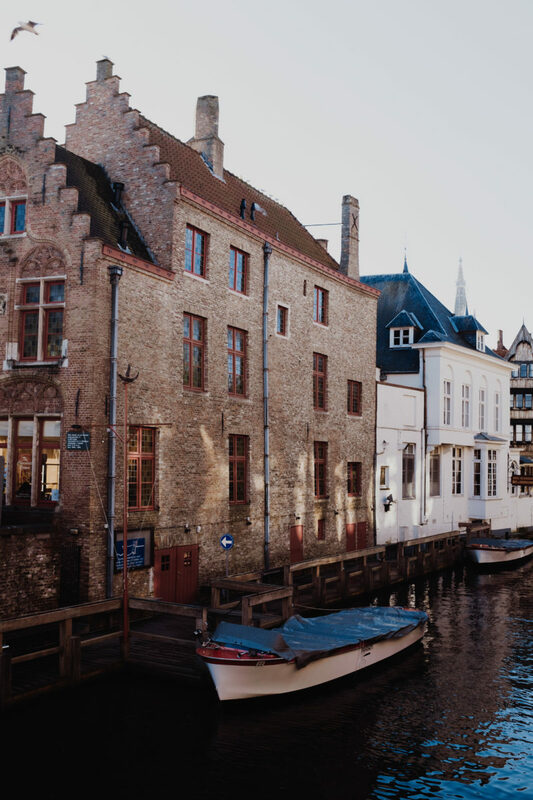 Bruges is bursting with magical medieval character, from cobblestones to canals to castles. During my two day stay, I rented a bicycle from Fietsen De Ketting for a few euros and rode around the city and out to the countryside. Easily accessible is Kasteel Rooigem, a medieval castle fit with a moat. 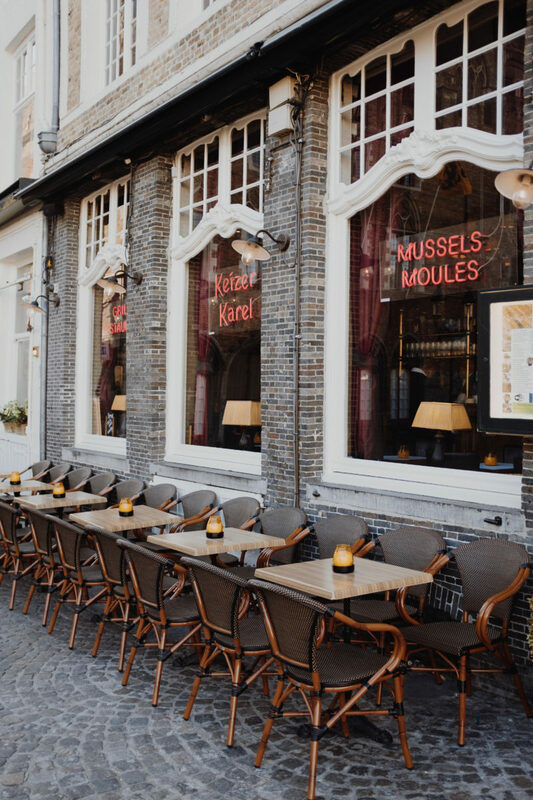 Located in County of Flanders, Bruges is home to many Belgian chocolate shops, waffle stands, quaint pubs, and cafes. 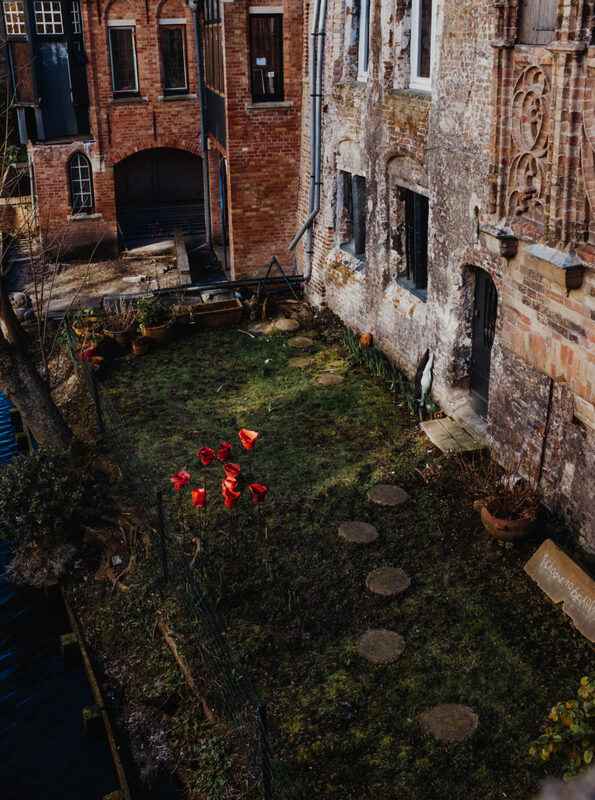 You can easily get lost walking through the alleyways and along canals. 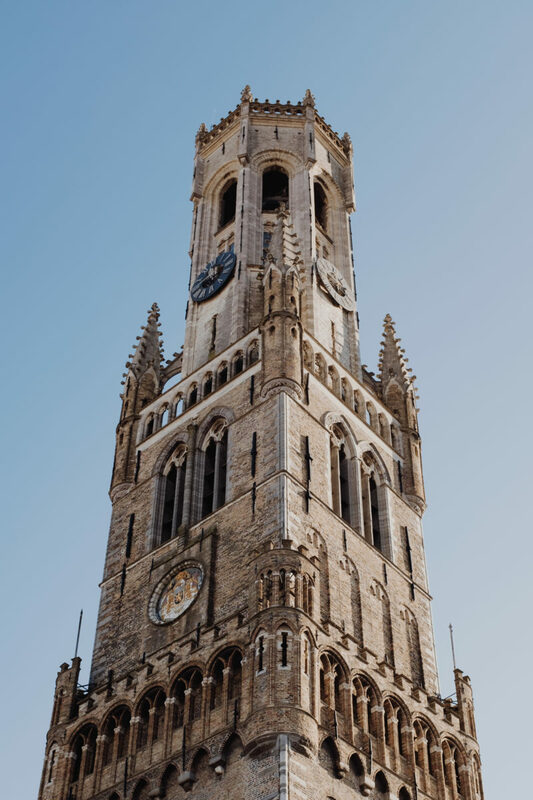 Standing as a symbol of the city and towering at its center, Belfry of Bruges is 366 steps high. 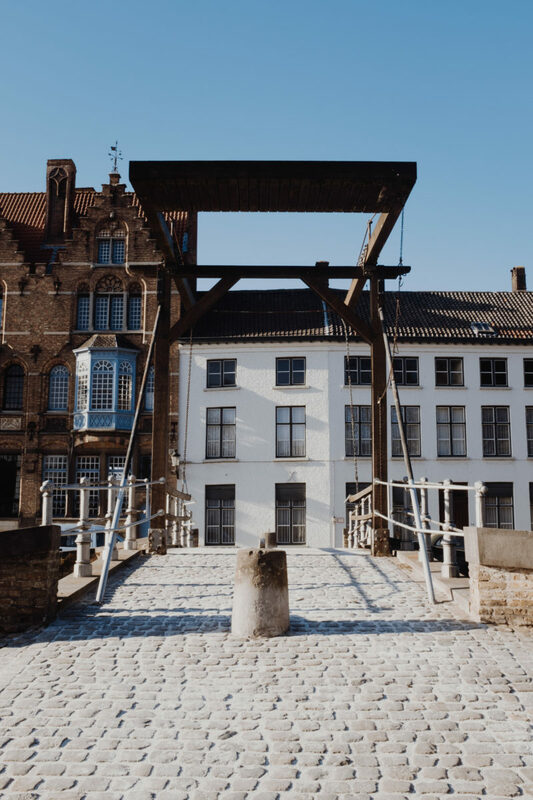 Be sure to check out the Markt, the city’s central market square, which sits at the bottom of the Belfry. Grab a Belgian beer at ‘t Brugs Beertje to get a taste of the local scene. 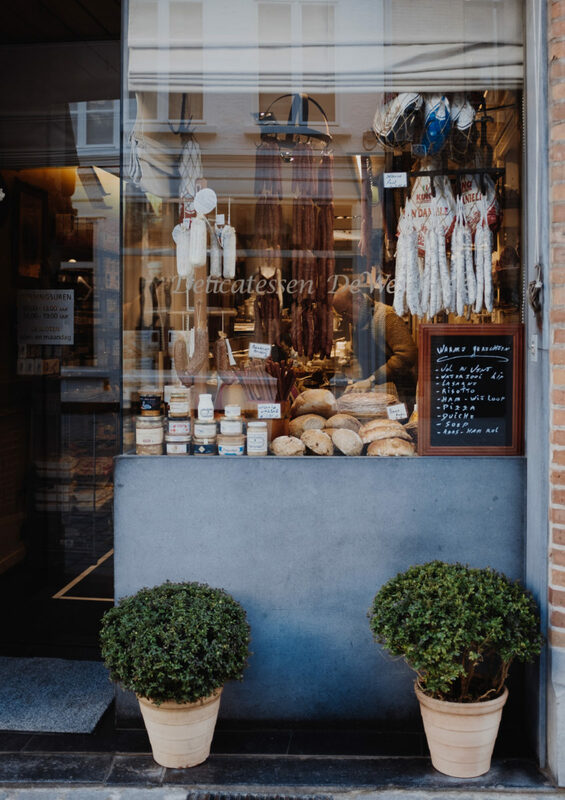 Outside the Delicatessen De Westhoek in central Bruges. 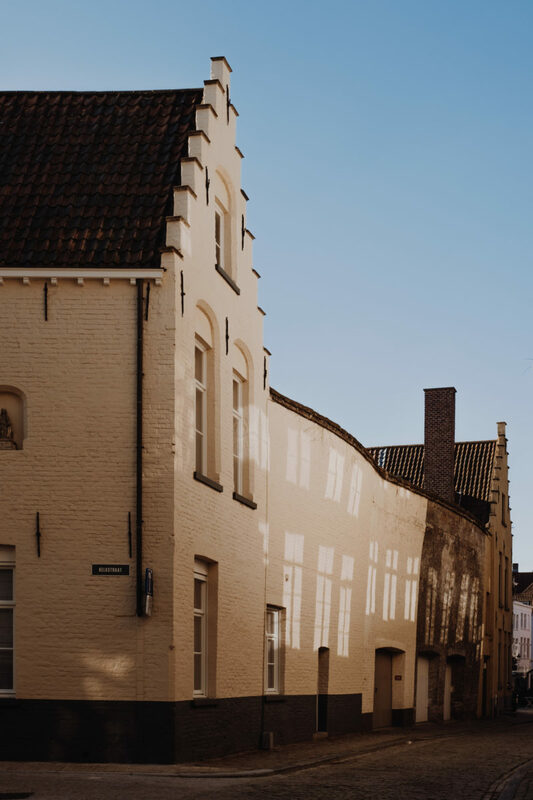 Walking the streets of Bruges in the early morning. The Beflry of Bruges is a medieval tower that rising high over the rest of Bruges and is that the center of the city. You can walk to the top for about €10. La Belle Vue, a restaurant at the Bruges Markt. Every Wednesday is market day at The Market Square, known locally as the Markt. 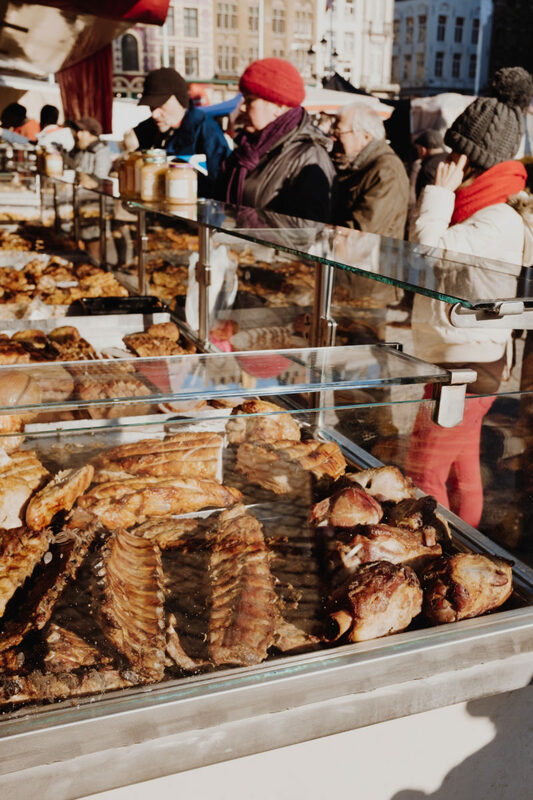 You can purchase a myriad of produce, meats, chocolates, and pastries from local vendors. 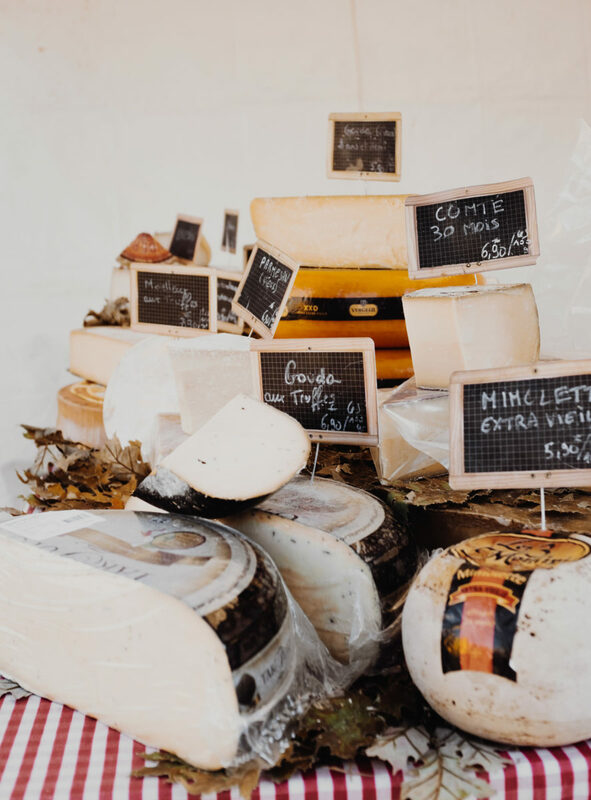 A selection of cheeses for sale at the Markt. 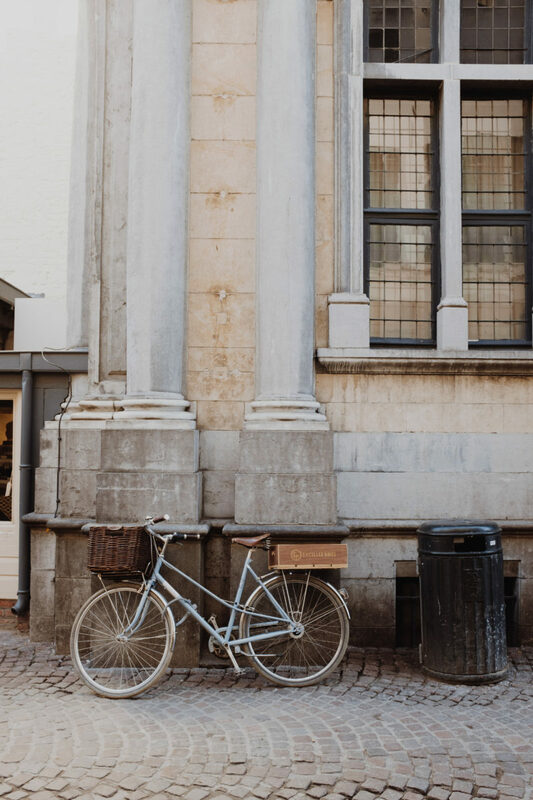 The best way to see Bruges is to rent a bicycle. One of the canals near the Markt in the city center. Light reflects off windows in an alleyway. 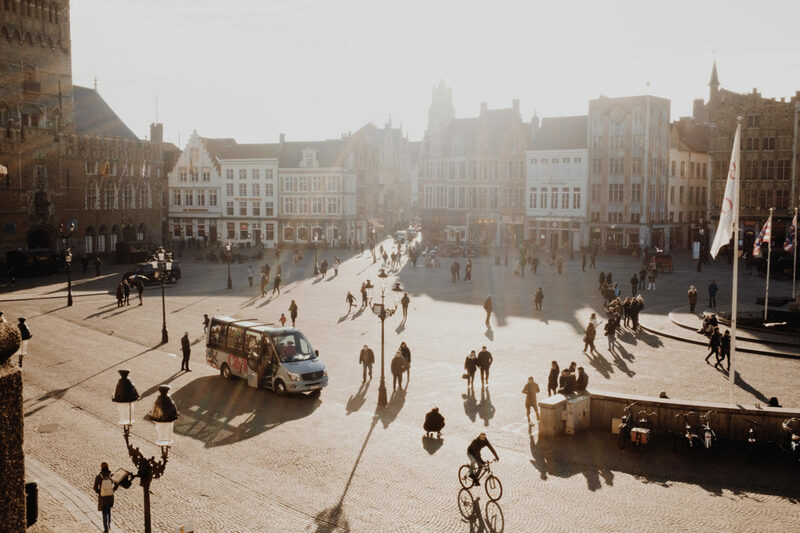 The Markt at the center of Bruges has been the scene of festivals, tournaments, and even executions. Rose sculpture in a secret garden along one of the many canals in Bruges. 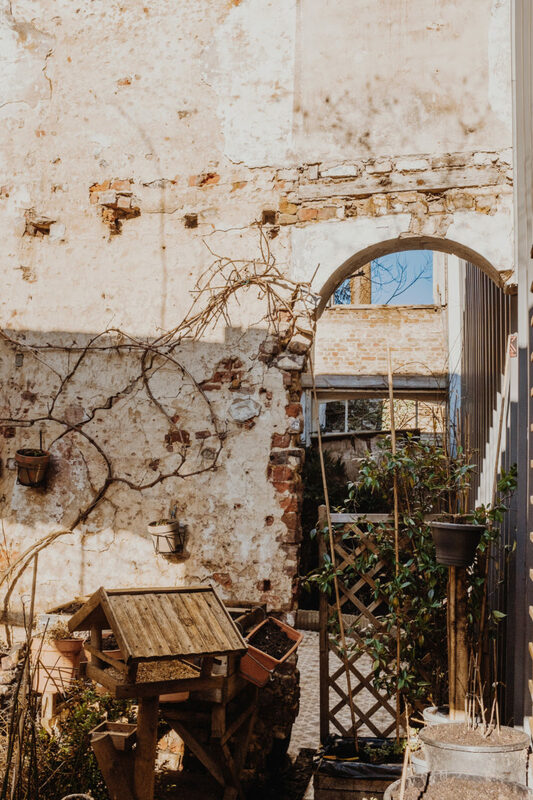 Peeking through an archway at a community herb garden in Sint-Pieters, a suburb just northwest of Bruges. 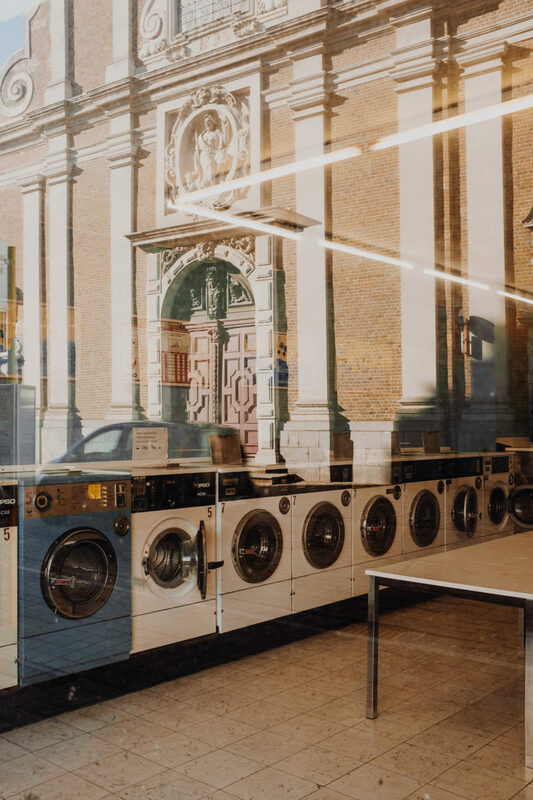 The reflective window of a laundromat in Sint-Pieters. 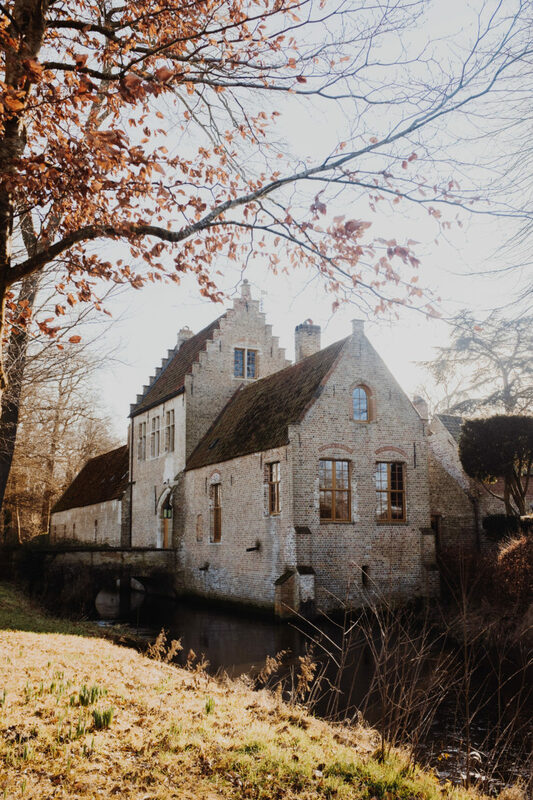 One of the many castles outside of Bruges, Kasteel Rooigem is about a 15-minute ride by bicycle from the city center. Old windmills line a walking and bicycling path that extends around the old city of Bruges. 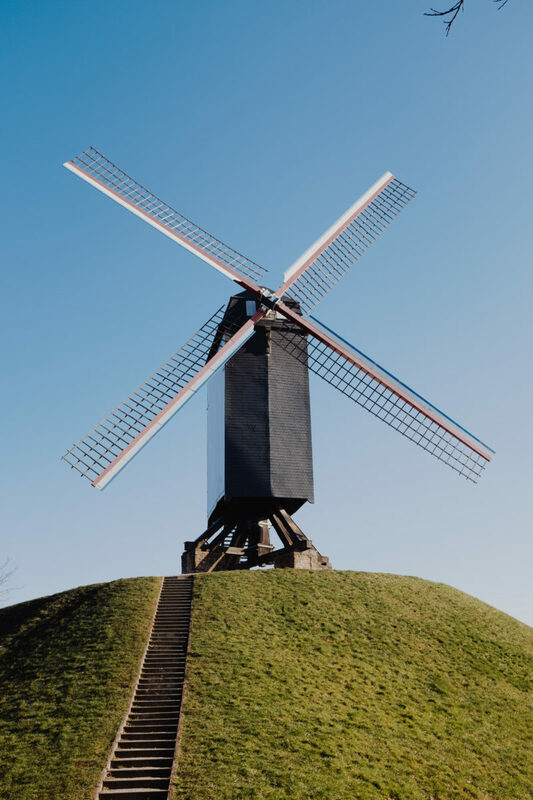 In the summertime, you can enter some of the windmills for about €2 or €3. A manual drawbridge on the east side of Bruges. 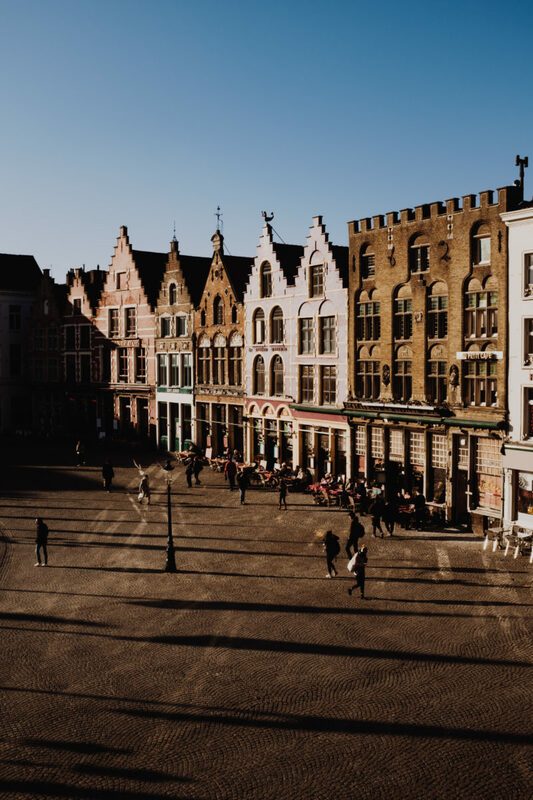 The Markt at sunset featuring medieval architectural facades that are quintessential to Bruges.